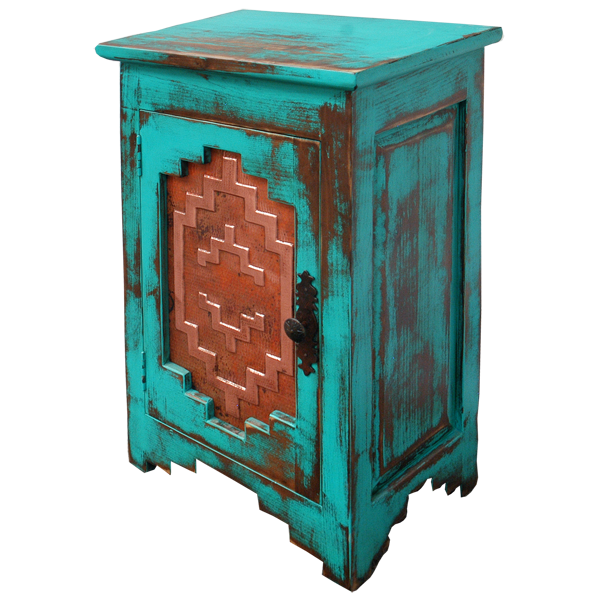 The combination of the antique, turquoise finish and the red tone of the copper panel creates an extraordinary, Western style, handcrafted end table. 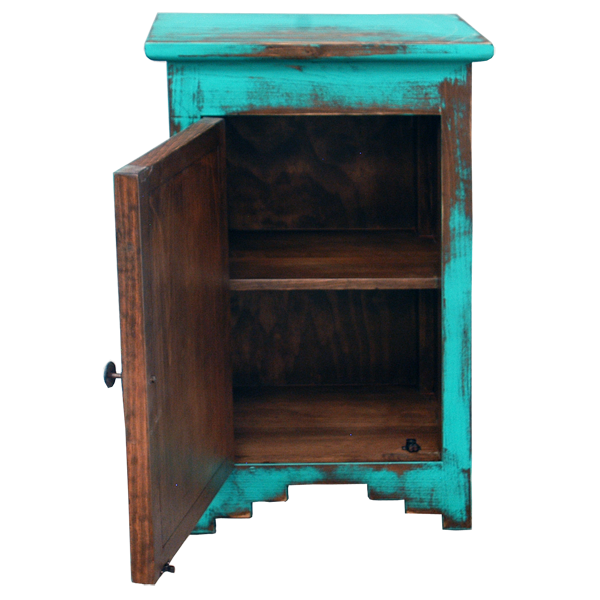 The entire custom end table is finished in an antique style, turquoise stain. 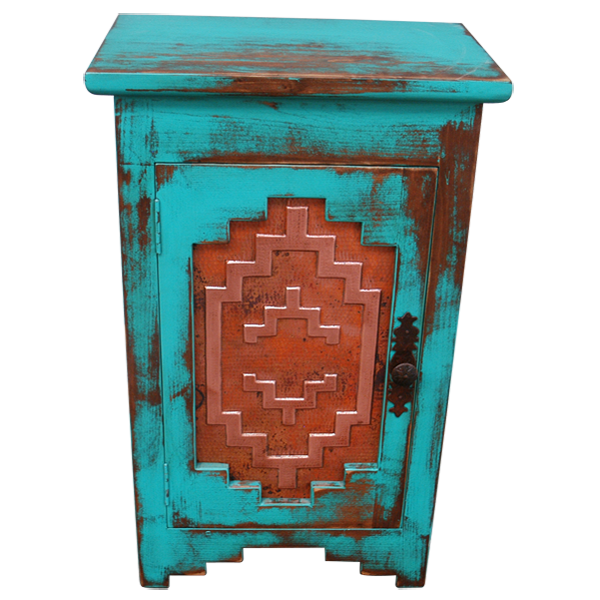 The end table features a cabinet door with a geometric design, and it is embellished with a hand hammered and hand tooled copper panel with a Pueblo design. The door also has a contrasting, black, hand forged, iron, pull handle. The end table has an antique, finished top and decorative, wood panels on each side. The table is supported by lovely, wood feet, connected with a matching, geometric, bottom design. This durable, custom furniture is made with the best, sustainable, solid wood available. The end table is available in different finishes, and it is 100% customizable.